The SPEED Appliance features a miniaturized, multi-slotted bracket body. Smoothly contoured for patient comfort, it features an edgewise archwire slot (.018" or .022") and a horizontal Auxiliary slot (.016" x .016"). 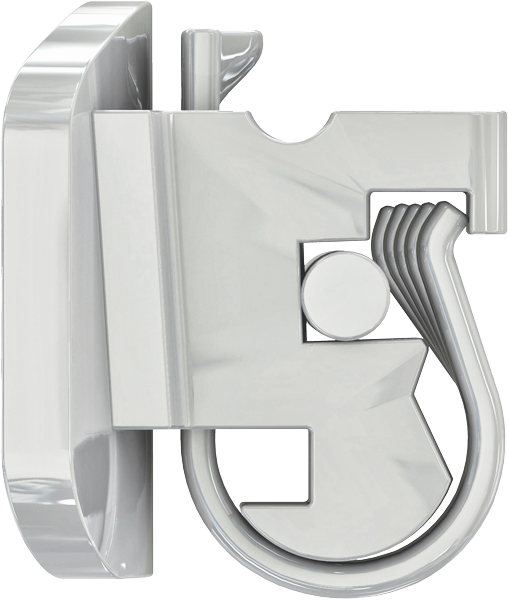 In addition, the bracket body's shape is designed specifically to protect the Spring Clip from damage during treatment. The Spring Clip is supported on the occlusal by the bracket body to prevent damage from occlusal forces.